spoke with Ray yesterday, he was thrilled to be at that pole, and wanted to take time to thank all of the volunteers, friends, and sponsors who made this expedition possible. Especially Iridium, Gatorade, Energy and Procurement magazine and Crocs. We have reached millions of people with the i2P message of inspiring everyone to go make a difference. 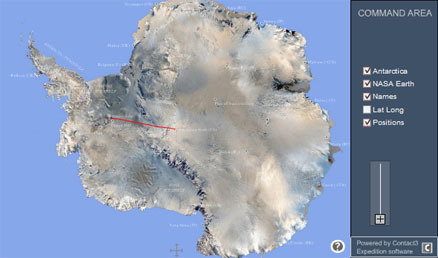 Ray, Kevin and Richard left the South Pole last night and are in Patriot Hills in western Antarctica. They will camp there until a flight takes them back to Punta Arenas Chile on Jan 10th (weather dependant). The attached photo is of the Ilyushin transport that lands on the ice and carries all of the gear and people back and forth to Chile. Once in Chile it will probably take 2-3 days for the team to make their way back to Ottawa.